Here's a little about a lot. “Cosmetic” derives from ancient Greek (kosmetike) meaning “the art of dress and ornament” and from (kosmeo) “to order, to arrange, to rule, to adorn, to equip, to dress, to embellish.” Cosmetic — as in dentistry — relates largely to external or superficial; pertaining only to the surface or appearance of something. But there may be more to it, for surface change may require more than you see, and as we will see, can sometimes require a lot of change beneath the surface. But today Cosmetic Dentistry has almost become a specialty within dentistry. What has driven the change is a “Chicken and Egg” story. 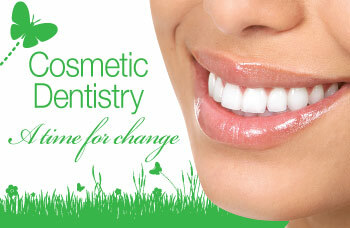 Nevertheless, we are living in an exciting era in dentistry, an era focused on facial beauty. And the demand for change is not only high but is, for the most part, now technically achievable. Today more than ever before, the healing arts are able to provide cosmetic change to meet the public's ever increasing expectations. Many general dentists and dental specialists and their medical counterparts have taken many continuing education courses and studied cosmetic change in detail. There are academies, associations and study clubs devoted to this particular endeavor. Can you show me a computer simulation or mock up of the anticipated change(s)? Do you use temporary crowns or veneers to allow a preview of the changes? How do you test shapes, sizes and colors of teeth before they're made permanent? What are the risks, benefits and alternatives for your recommendations? Can you discuss the short term and long-term implications for my dental health? What are the costs and time involved? How do you work with dental technicians to produce the most cosmetic results?